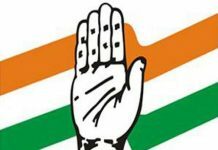 Srinagar, Jan 11 : The J&K Pradesh Congress Committee (JKPCC) has urged upon the Party cadres to gear up for the upcoming elections in the State and ensure victory of Party with a thumping majority. The JKPCC held a meeting of Senior Party Functionaries and District Presidents of Kashmir valley in Srinagar today, which was presided over by President G.A. Mir. JKPCC President also addressed a meeting of Mahila Congress Activists, /councilors/Corporators elected in recently held ULB Elections and emphasized them to remain steadfast to serve the people at grass root level. The meeting was organized by Shamema Raina Vice President Mahila Congress. Addressing the meetings, G.A. Mir has said that Congress is a vibrant situation in the State expressing confidence that people in all the three regions of the State have full faith in the progammes and polices of the Congress Party, for the fact, Congress has always taken care of urges and aspirations of the people and never indulged in vote bank politics for the sake of power. He said Congress has always sacrificed power for people and it will continue to remain committed to address the concerns of the people in Jammu, Kashmir and Ladakh. G.A. Mir took a dig at previous PDP BJP regime for failing to respect the mandate, saying that both the Parties played emotional cards from time to time and misled the people on various counts for the sake of coming into power, but at the sametime, he felt confident that people of Jammu and Kashmir have rejected both (PDP BJP), he said. Mir urged upon the Party Cadres to remain connected with the people on ground and ensure that problems confronting them (people) are resolved. He also emphasized the cadres to remain enthusiastic and committed to the cause of serving people to the best of their ability, for the fact, Congress has served the people and it will continue to serve them and ensure equitable development of all the three regions in the state, Mir said. On this occasion he also cautioned about the designs of BJP RSS, who are desperate enough after loosing three heartland states to Congress Party and said BJP can go to any extent to mislead people for electoral gains, which has to be countered and defeated in the larger interests of the people, he said. 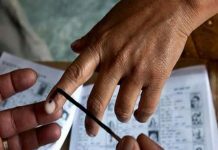 People have bitter experience of misrule and mismanagement on the part of previous PDP BJP regime, as a result, there is great disillusionment among the people, G.A. Mir said. Taking the opportunity of the Party meeting, G.A. Mir appealed the people in all the three regions to remain vigilant and ensure defeat of communal and fascist forces, which are hell bent upon to divide people for electoral gains. Those who were present in the meeting included Spokesperson Farooq Andrabi, Ex. 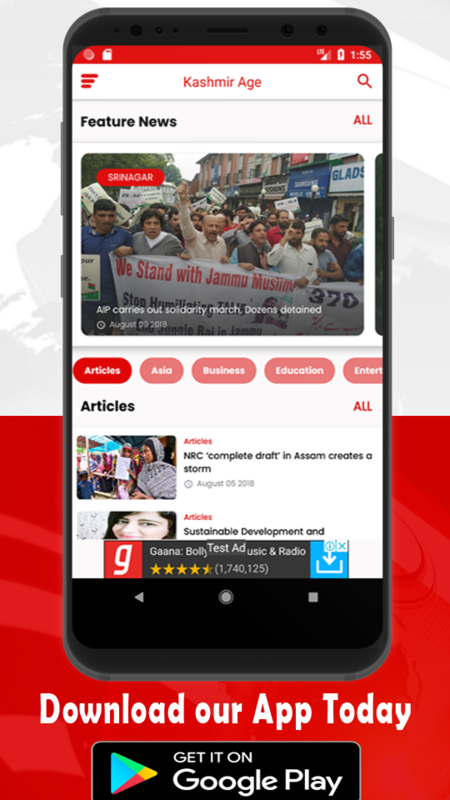 MLA Gulzar Ahmad Wani, Gulam Nabi Mir Lasjan,Surinder Singh Channi, Shameema Iqbal, Abid Kashmiri, Mohd Iqbal Mir, Irfan Naqib, Abdul Gani Khan, Abdul Qayoom Shah, Imtiyaz Parray, Zahid Hussain Jan, Haji Farooq Mir, Sahil Farooq, Gul Mohi U Din Bhat, Fayaz Ahmad Dar, Mushtaq Ahmad Khanday, Nissar Ahmad Mundoo, Shaheena Nadaf, Imtiyaz Khan, Peer Nizam U din, Mohd Yousuf Bhat, Dr. Sayeed Ahmad, G. M. Mir, Gulam Rasool Malik, Shiekh Aijaz, Maroof Ahmad Wani, Irfan Naqashbandi, Mohd Yaqoob Vakil and others. 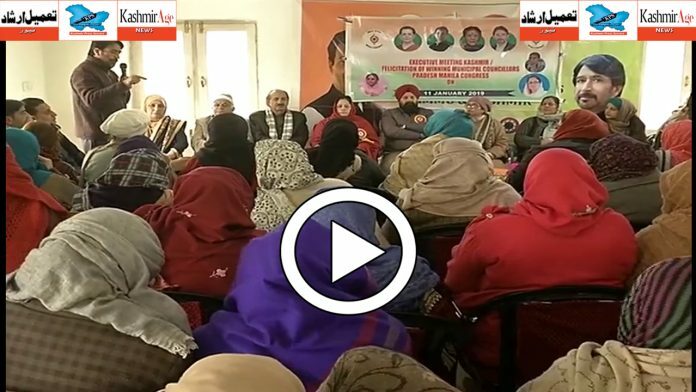 Later scores of young and dynamic youth from Srinagar District led by Shameema Mir joined Congress Party and expressed their full faith in the programmes and policies of Congress party. G.A. Mir welcomed them into Congress Party, emphasizing them to reach out to people for redressal their grievances in their respective areas.